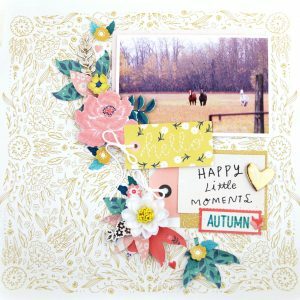 I was so pleased to be asked to guest with Technique Tuesday and use their April Memory Keepers Studio Stamp Sets! 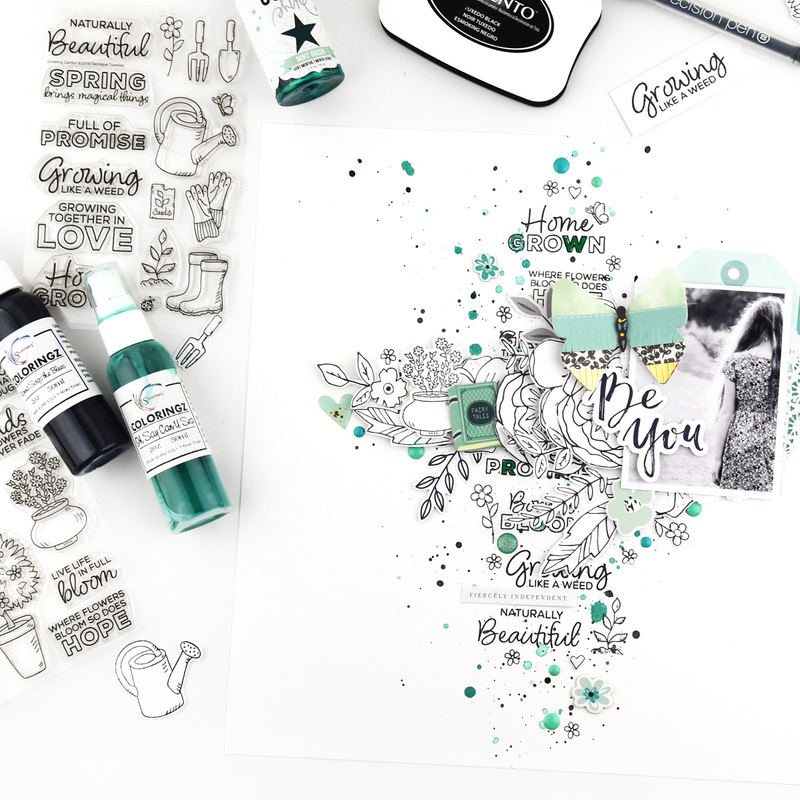 I received the Growing Garden Stamp Set & Dies and the Garden Sentiments Stamp Set & Dies. 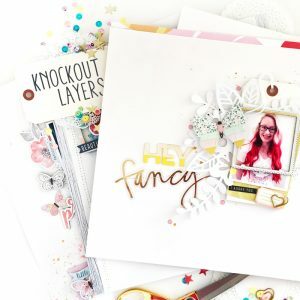 The stamps and dies are crisp, and high quality and I enjoyed using all four products! I started with some paint splatters in teals; I used Oh Say Can You Sea by Shimmerz and Heidi Swapp Colorshine in Teal. 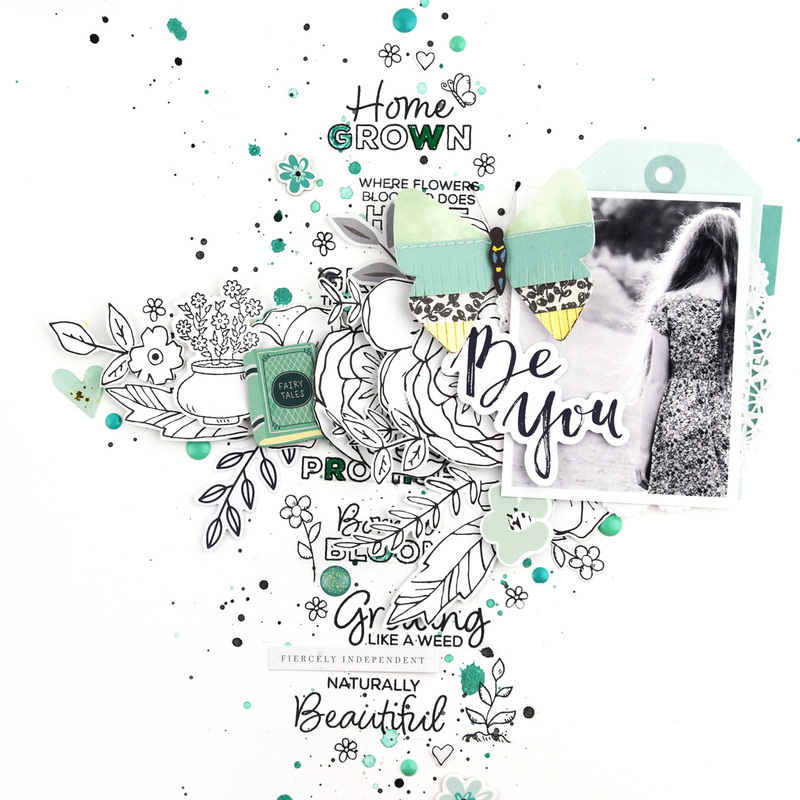 I used sentiment stamps from both sets and stamped them in a vertical line down my page. I colored in a few of the letters with paint and a black pen to add to the random messy feel. 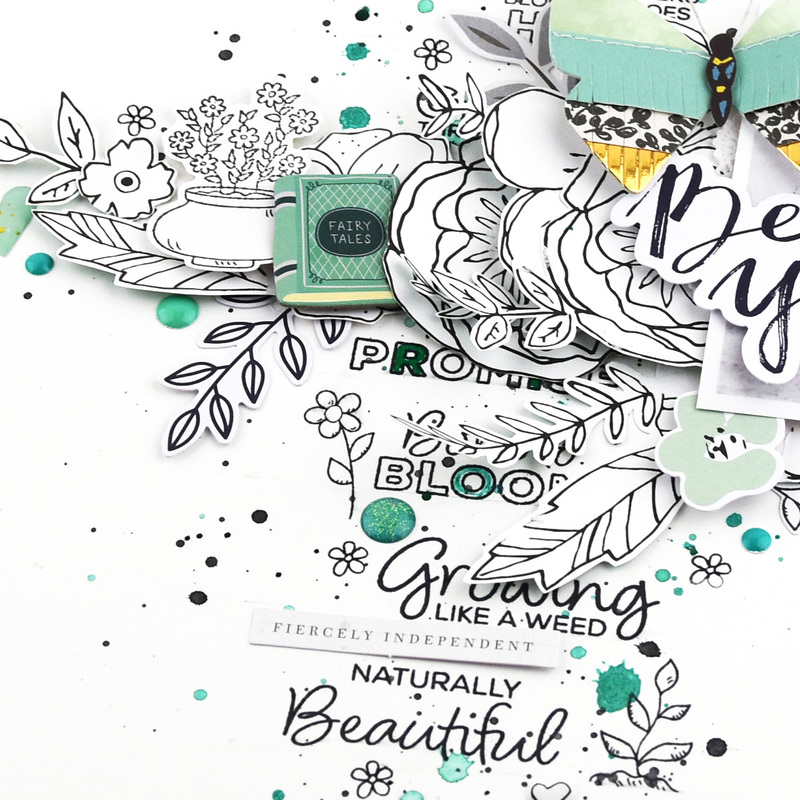 Once I had chosen my photo placement I dug around in my stash and found a bunch of black and white florals I had fussy cut from an older Dear Lizzy paper, I layered them beneath my photo and extended them out in a horizontal line. They go with the stamp set florals perfectly! 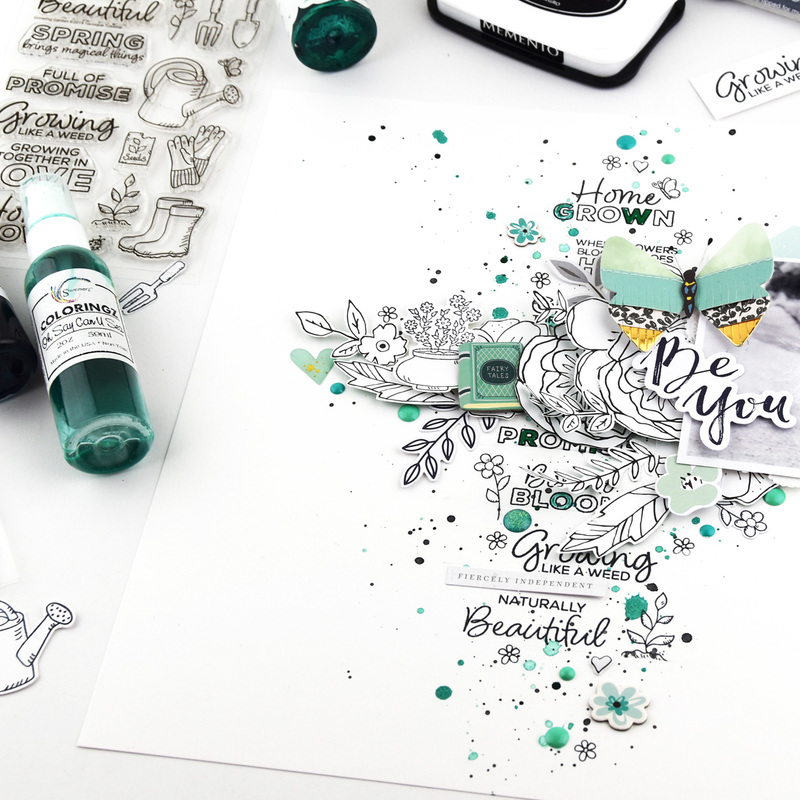 I got out my teal embellishment bin and found a cute fairytales book from Paige’s Turn the Page collection, some little chipboard flowers from Pebbles and a gorgeous butterfly from Maggie Holmes. I added more stamps from the Technique Tuesday stamp sets around my page, and a few enamel dots finished it off! 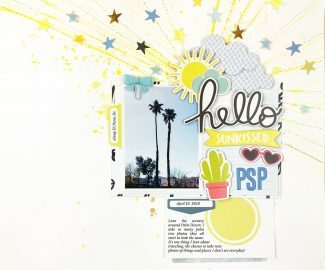 I love how the page turned out! 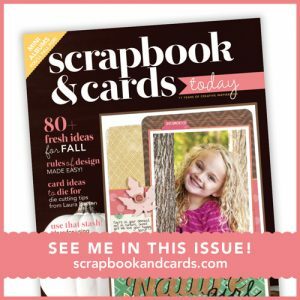 The sentiments are perfect for all kinds of photos and stories! Thanks so much, Technique Tuesday, for sending me these lovely stamp sets! You can find all their Memory Keepers Studio Stamps on their website, the stamps I used will be under April.